Aurora is being held as a prisoner. 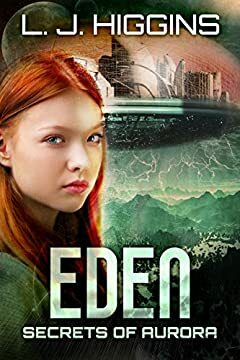 Confronted by someone from her past who holds all the answers, Aurora and her band of rebels set on a mission to the floating city of Eden. Before the truth can be exposed to those living in the floating cities, they must find each piece of the puzzle. Pursued by enemies, Aurora will stop at nothing to find out the truth. But just when she believed that all of her questions had been answered, a tragic accident reveals that there was at least one more truth to discover.